Discount points are prepaid interest on your mortgage loan—you’re basically paying finance charges in advance. Discount Points are used to "buy" your interest rate lower. This is known as a rate "buydown." A general rule of thumb is that one full Discount Point will lower your fixed interest rate .250 percent or your adjustable rate .375 percent. These points lower the interest rate for the entire term of the loan. - You are legally liable for the debt and the loan is secured by your main home. - Paying points is an established business practice in your area. - The points paid were not more than the amount generally charged in that area. - You use the cash method of accounting. This means you report income in the year you receive it and deduct expenses in the year you pay the points. - The points were not paid for items that usually are separately stated on the settlement sheet such as appraisal fees, inspection fees, title fees, attorney fees, and property taxes. - You provided funds at or before closing, which were at least as much as the points charged, not counting points paid by the seller. 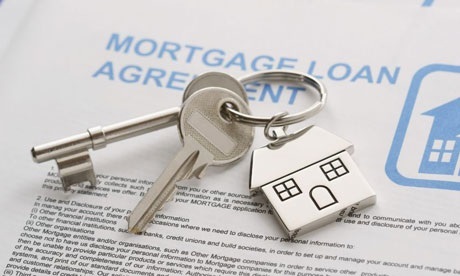 You cannot have borrowed the funds from your lender or mortgage broker. - You use your loan to buy or build your main home. - The amount is clearly shown on your settlement statement. Origination points (aka Origination fee) are charged by the lender for evaluating, preparing, and submitting a proposed mortgage loan (the costs of making the loan) or to boost profits. Most loan officers’ compensation is based on origination points, but they still may be negotiable in whole or in part. Some lenders add origination points into their quoted points while other lenders add an origination point in addition to their quoted points. Where discount points serve the borrower by lowering the interest rate, origination points are gross profit for the lender. They are not tax-deductible. ﻿Speaking with a lender will help you to better understand your financial situation and the types of loans available to you. I work with multiple fantastic lenders and will be happy to refer you to your best match. Contact me today for more information.